Woman: You like married women, don’t you, James? あなたは人妻が好きなんでしょう、ジェームズ? ダニエル・クレイグと再共演する「His Dark Materials: The Golden Compass」(2007) も気になります! 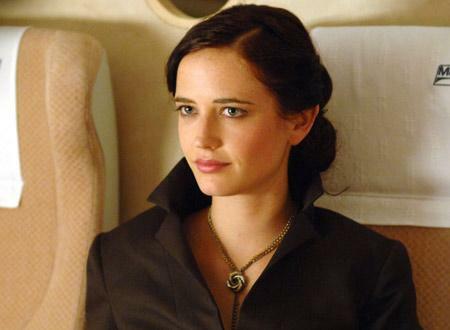 Vesper: So as charmig as you are, Mr. Bond… I will be keeping my eye on our government’s money and off your perfect formed arse. Vesper: Because of the bitter aftertaste? 後味が苦いから? Bond: No. Because once you tasted it, that’s all you want to drink. I thought that was quite a good line. I’ve got a little itch…down there. Would you mind? 下のあそこがかゆいんだ。かいてくれるか? それに怒ってさらにボンドのあそこを打つル・シッフルに、苦しみながらも“No!…To the right….Yes, yes, yes…”(違う!右だ・・・そう、そうだ、いいぞ)と答えるボンド。一体どんな体してるんでしょうか?? Vesper: You’re not going to let me in there, are you? You’ve got your armor back on. 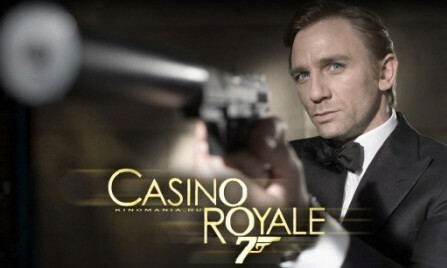 Bond: I have no armor left. You’ve stripped it from me. 甲冑はもう着けてない。君に脱がされたWhatever is left of me…whatever I am…I’m yours. M: You con’t trust anyone, do you, James? 誰も信用しないのね、ジェームズ?